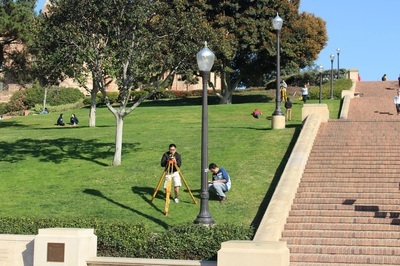 Surveying is the technique of determining the position of points and distances and angles between them and it is a crucial skill for all civil engineers. 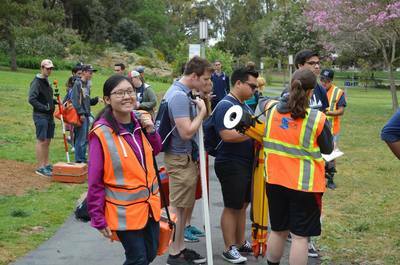 Not only is there a section about surveying in the PE Exam, but there are also basic elements of surveying in many civil engineering classes and, of course, a surveying competition in PSWC (Pacific Southwest Conference) every year! 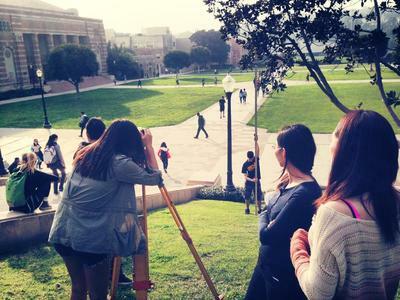 In this project, we learn the basics of surveying and prepare for the surveying competition. 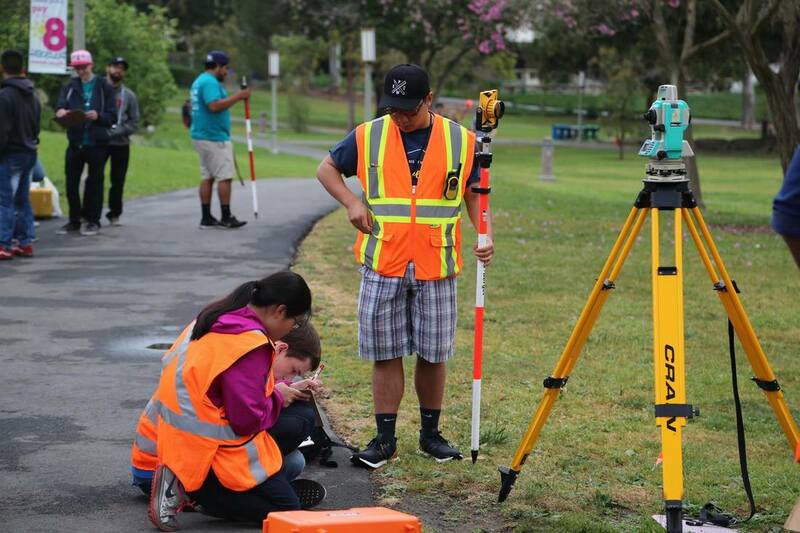 Members have the opportunity to use surveying equipment such as the level, Philadelphia rod, tape measures, tripod, plumb bob, theodolite, and, if we are lucky, total station. 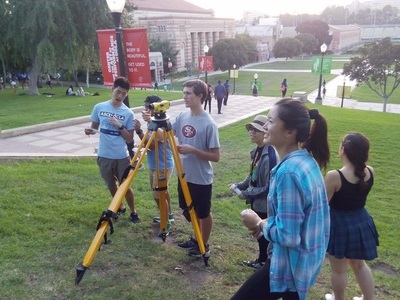 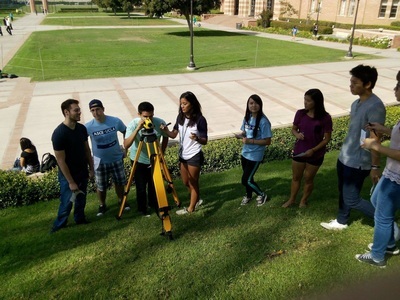 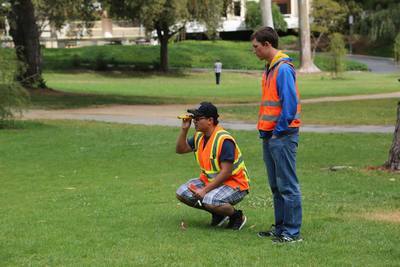 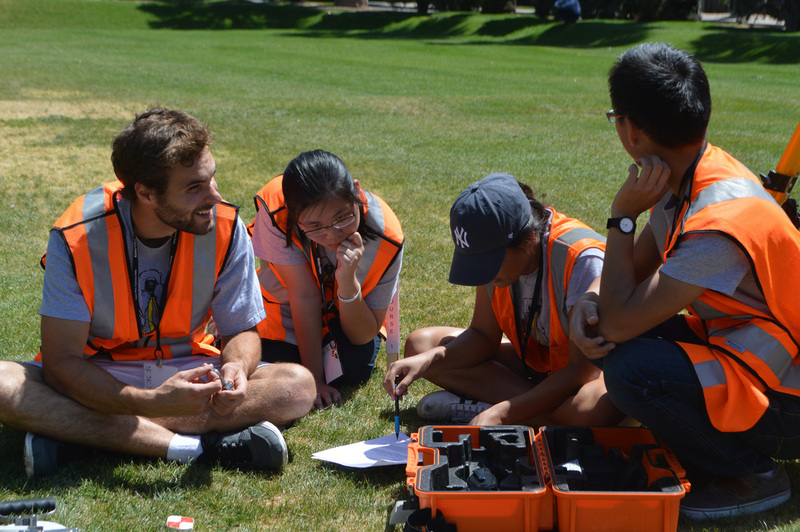 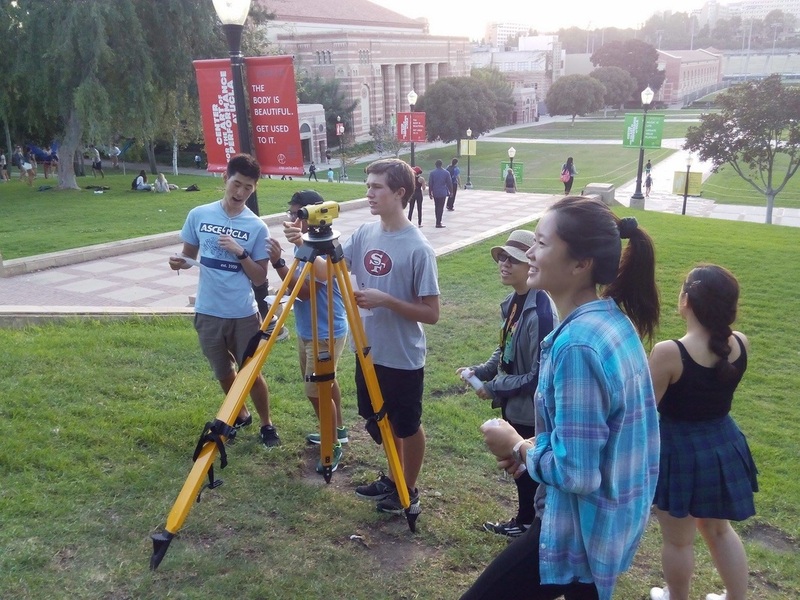 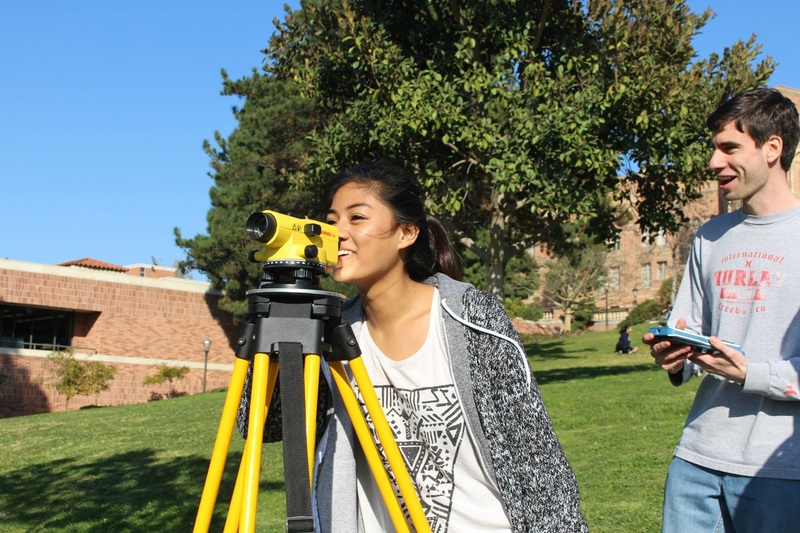 With the use of these equipment, we measure elevation, tape distances, triangulate heights, and find areas in square feet around our UCLA campus. 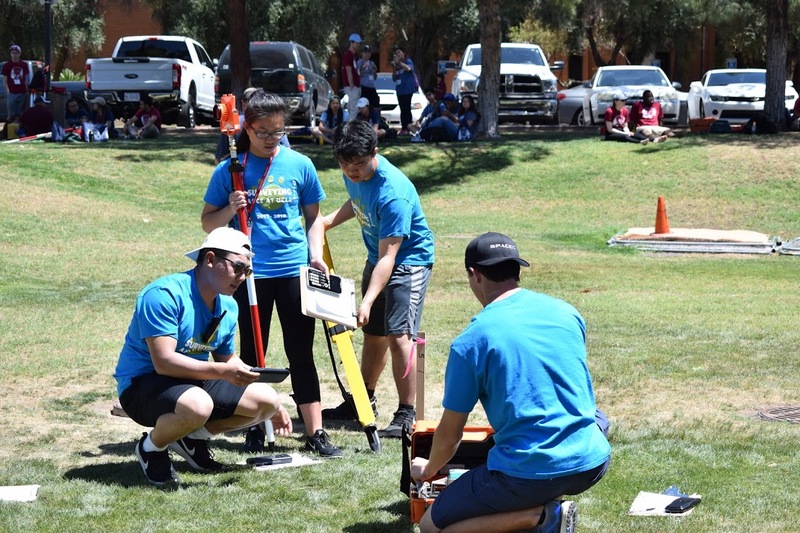 There are four parts in the competition. 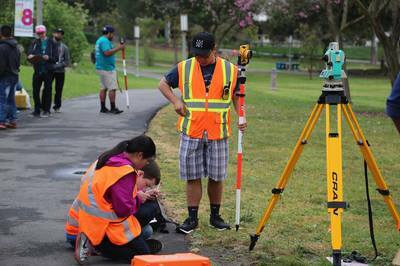 In the first part, we use a total station, reflector, and stakeout pole to find the bearing and distance between two points and the elevation of each of the points. In the second part, we find the elevation of an object from a remote location. The third portion requires a steel tape no longer than 100 feet to measure the distance between two points. 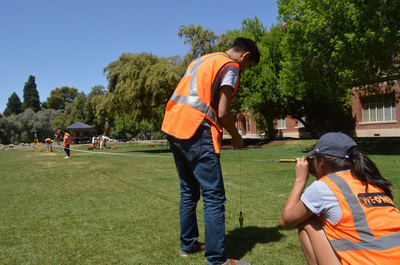 In the fourth portion, one team member is timed on how fast he or she can set up a tripod. 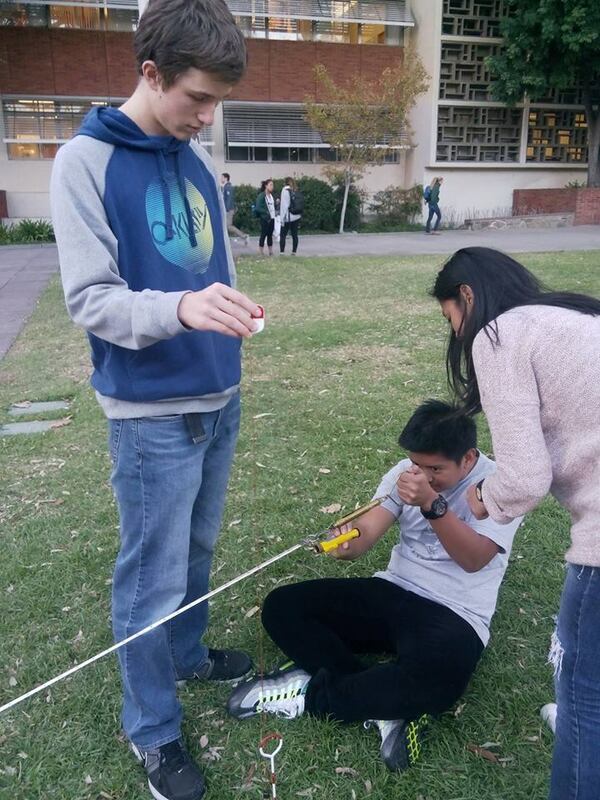 Participating students also need to level a given theodolite and tripod correctly over a given point. Let us know your comments and suggestions! You can also reach us on our Facebook group. Also, check out our YouTube channel for instructional videos!